We’ve already given our lowdown on the Number One Christmas single, and now we can turn our attention to some of the other festive markets that are being offered by the Bookies. The typical novelty bet at this time of year is betting on whether or not there will be snow on Christmas day. If that’s your kind of wager, you can get odds of 7/1 8.00 +700 7.00 7.00 -0.14 on snow falling in London on the 25th, while markets are also now available on a white Christmas in various cities in the UK and around the world. A white Christmas is practically impossible to predict with any surety, however, and some of the other markets worth looking at, not least because it is possible to make an educated assessment. This is an interesting market, which allows bets on the most popular Christmas Day TV show by viewing figures. The TV companies are quite competitive over who gets the top ratings for the day, and we can expect the usual Christmas specials and scheduling battles that we’ve come to expect from our Christmas TV. Last year’s ratings were topped by surprise winner, ‘Mrs Brown’s Boys’, and the comedy heads the betting this time around. Long-standing soap opera, Eastenders, is always one of the most viewed programmes on the day, and is next in the betting for this year’s most-viewed. In fact, the BBC dominates the market this year, with other festive favourites including Doctor Who, Miranda, and Call the Midwife. ITV’s offerings in competition are Coronation Street and Downton Abbey. Two very popular shows, but it remains to be seen whether they can outdo the BBC’s strong selection. Brendan O’Carrolls hit comedy show was the surprise winner on the viewing figures last year, with 9.4 million people tuning in on Christmas day. The bookies are taking no chances, with a short price on the show repeating the trick this year. 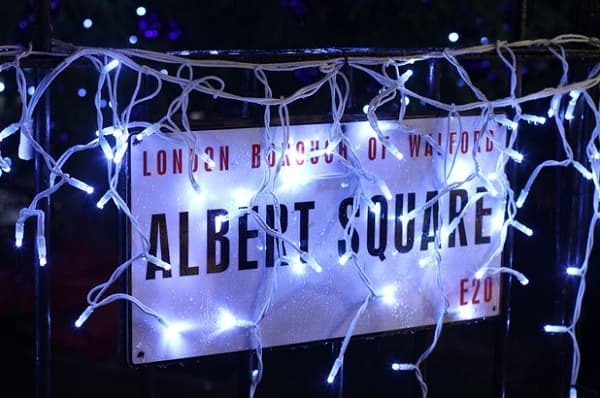 Watching Eastenders on Christmas day is almost as traditional as roast turkey or the Queen’s speech, such is the way the long-running soap has entered the psyche of the British public. It was the most viewed Christmas day programme for four consecutive years from 2009 to 2012, and despite a drop in figures to 7.8 million last year, it would be no surprise to see it come out on top again this year. Mirand Hart’s comedy of the same name is set to end this year, and that could boost her ratings. The show didn’t appear in the top ten last year, however, and it would need to be something of a rise to top the charts this time around. Doctor who was second in the ratings last year behind Mrs Brown’s Boys, and has regularly featured in the top ten over the last few years. Jamie Oliver has dominated this market, with the lovable TV Chef bagging the best-selling Christmas book for the last four successive years. He is taken on at the top of the market this year by Zoella, with her first book, ‘Girl Online’. Beyond those two are the usual festive staple, The Guinness Book of World Records, and David Walliam’s childrens novel ‘Awful Auntie’. ‘Jamie’s Comfort Food’ is this year’s seasonal offering, and looks set to fill many a stocking. The nation’s favourite TV Chef has cornered this market in recent years, and were it not for ‘Girl Online’, he may already have this sewn-up. Chances are, unless you’re a teenage girl, you won’t have heard of ‘Zoella’, Zoe Suggs’ online persona. The teenager has built up a massive 9 million subscribers on Youtube, and has amassed an army of fans through blogging and vlogging online. Her first book has drawn heavy criticism for being ghost written, but achieved over 70,000 sales in its first week and is a contender for the number one slot this Christmas. However, the initial spike in popularity could quickly fade, and if anything the book may be helping to keep Jamie Oliver’s price artificially high. The recent game charts give a good idea of this market, and FIFA 15 is the game at the top of the lists at the moment. This despite a 20% drop in sales. The game in second place at the moment is Call of Duty: Advanced Warfare, with Grand Theft Auto V back in third in the charts. FIFA 14 was the top game across all platforms last year, but Call of Duty: Ghosts on the XBox 360 was the best-selling individual format game. Call of Duty topped both charts the previous year, and looks to be the only realistic competitor to EA Sports FIFA 15 this time around. The football game is released in the build up to Christmas every year, and as stated, was the top game of the festive period last year. The odds are particularly short though, and the game itself has drawn criticism from some gamers over the gameplay. It could be a chance to take the title on with Call of Duty’s latest offering. The military-based game has been a hit since its inception, and has been improved with each new version that is released. Advanced Warfare has introduced a raft of new features this year, and it remains as popular as ever with gamers.